Summer vacation just started but it’s never too early to think about school supplies. 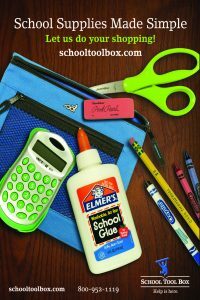 The PTA has partnered with School Tool Box as a “one stop shop” for all your school supply needs. School Tool Box has CES’s list for each grade. Simply visit their website, School Tool Box and follow the instructions.